I never met Leonard Nimoy, yet he was an important part of my life. My mother introduced me to Star Trek through reruns in the 1970s. She had watched the original (and I think may have secretly had a thing for Mr. Spock). As a young boy, I naturally identified first with Captain Kirk, the swashbuckling hero. 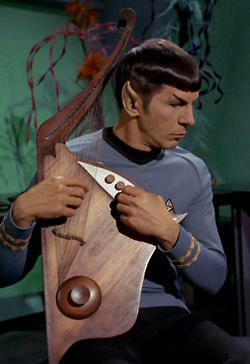 But there was always something about Spock that kept bringing me back to reality. Spock represented the logic they were trying to teach us in school, the emotional restraint we were expected to demonstrate in life, and the utopian ideal society was striving towards as we firmly raced through our first space age towards the computer era. The loss of Mr. Nimoy was of course inevitable. He faced the same fate that confronts all of us. 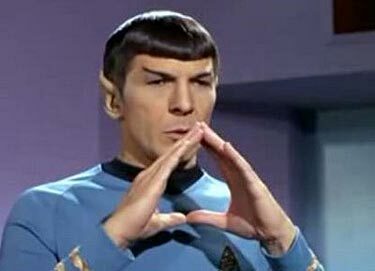 Even Vulcans die. But Nimoy brought something special into the world. Nimoy’s Spock was more than a character, he was an archetype for the late 20th century. He played everything from the wise sage to the split personality. He even was at times the traitor and the very embodiment of logically-justified evil. More often than not though, his logical perspective saved the day, be it the ship, planet, galaxy, or universe. Thank you, Leonard Nimoy, for your portrayal. Thank you for your artistry. And thank you for the mirror reflection back to us. Movement is a vital part of life. Motion defines our very existence, whether awake or asleep. Every aspect of life contains movement, from the act of making a sandwich to the blood rushing through our veins. And like that analogy, some movement is a conscious choice, while other movement is an involuntary response to life. I’ve had the great pleasure to have been involved in several different events combining dance and music this year. A pair of Tchaikovskys: a mini-Sleeping Beauty and a Nutcracker; Prokofiev’s Cinderella coming up in April and last night’s Salt Lake Symphony Vienna Ball top the list of formalized events. I’ve also done several concerts where we got kids moving to music. And thus: today’s ruminations of music and movement. To be sure, this is a topic in which I am well-versed. After all, I make my living as a conductor. The physicality of gestures is my daily bread, so to speak, and it’s not just about waving the arms. The good conductor embodies the spirit of music as well as the sandwich-making choices like cues and tempo. The human need to move to music is something so ingrained in the human experience, we should not be surprised to see it everywhere. Formalized choreography is one element with which I am presently working. That’s the “dance company-onstage-orchestra-in-pit” model. The audience pays to watch the movement. It is all about story, emotion, and depiction. Here tempo is vital. A few metronome clicks off and the ballerina cannot keep point. This is movement tied to music at its most formal, so complicated that it takes another artist, the choreographer to coordinate the movement. I’ve also done several family concert events where we got the kids involved in marching, clapping and stomping to the music. If you watch children at a concert, they are just itching to move. Some just go ahead and sway or conduct the music as a reflex. They simply must MOVE to the pulse. Allowing them to do so is very important. Getting them to organize their movements to sound is the first step in allowing creativity and further developing the musical mind-muscles. There is another aspect of moving to music that is often overlooked: the musicians themselves. Instrumental musicians are bound to the instrument in a certain way, the technique of producing a sound must be engaged before we go about “moving” to the music. The movements are complicated and not always apparent to the audience. Lips on reed, bow on string, creating the vibrations responsible to cause a sound to be produced cannot often be observed, and can never been felt with the subtlety that the musician comes to instinctively know. But once the sound is under control, we musicians also must move. If you carefully watch a good orchestra, you will see the engagement, from swaying violin bows, weaving woodwind and brass torsos and timpani releases that are all reflective of the music, not just the technique. What I hope to do as a conductor is elicit this response from my musicians, and transmit the motion along with the sound waves to the audience. The music itself moves, not only with the precision of physics, but also with the rush of spirit. Through all the nitty-gritty of a rehearsal, my goal is to capture this essence by the time the audience arrives for the concert. I also hope is that the audience experiences this movement in the performance, even if they are not consciously aware of it. It is as important to a good performance as good choreography, yet more spontaneous. 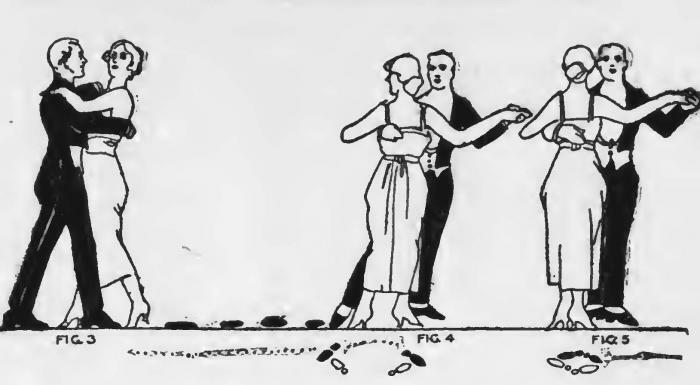 So whether it’s a prima ballerina on point, a floor of polka dancers, or the subtle sway of a group of 75 performing musicians, be aware of the movement around us. It’s even ok to tap your toes. And maybe, just maybe, you will begin to notice it in your daily life rhythms as well.